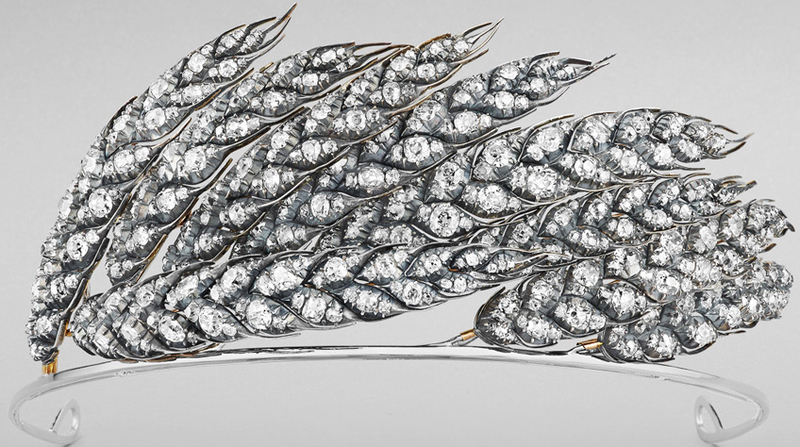 Creation: This tiara was created by Chaumet using nine of the one hundred and fifty diamond ears of wheat that were made by Marie-Étienne Nitot for Empress Marie Louise of France in 1811. When did Chaumet make the ears of wheat into a tiara? How did Chaumet acquire Empress Marie Louise's ears of wheat?